What's next after much-needed VISTA program? With those words, VISTA project leader Rosie Wiley humbly summed up her life for the past three-plus years with Volunteers in Service to America. As Herald reporter Tim Wolfrum wrote in today's story, VISTA's local program ends in August without a renewal of federal funding. That, Tim wrote, is "a sad fact for the volunteers and the groups that employ them." It's also a sad fact for this community if nothing comes along to replace this group's amazing sacrifices to tackle so many worthy projects. Somehow, though, I doubt we've heard the last of Rosie Wiley, seen above in Grant Jefferies' photograph. She is one of the most spirited leaders of volunteers I've ever met. And she has never seen a challenge too big to tackle. 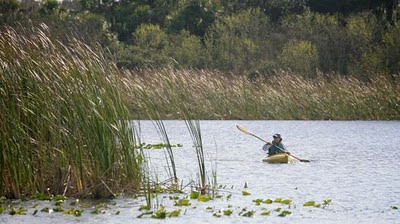 Herald pohotographer Paul Videla crafted the latest photo gallery in Our Parks series, featuring the renovated Jiggs Landing Preserve in East Manatee. Bradenton Herald's Our Parks series will help capture an extremely important element of Manatee County's legacy, we believe. Let us know if you have a nature's gem you'd like to see us tackle next. 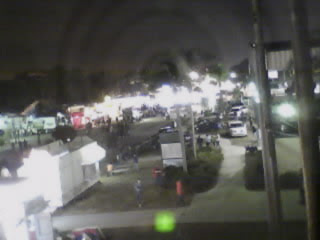 Are you on our webcam at the fair? If you're going to the Manatee County Fair this weekend, look for the Herald's camera. You could be spotted on our new webcam! After some hard work by Fair Manager Dan West, Bright House techies and the Herald's web developer William Winter, we have a bird's-eye view streaming onto www.Bradenton.com/Fair. It's a simple model, snapping a new picture every 30 seconds and sending it to our site for viewing. But we hope it's great fun for the last two days of the fair. See if you can find the "magic circle" right below the camera out there and wave. It's on a utility pole adjacent to the Chaires Building/Arts & Crafts Department, facing southeast toward the Midway. On this Martin Luther King Day, I have more reason than ever to reflect on how much that one man stands for -- in what has changed in this country, and what still needs to change. For the past 18 years, our community has celebrated Dr. King's legacy with a weekend of events centered around the Palmetto Youth Center. The center recognizes five community leaders every year for their service to Manatee County, as reported by Timothy Wolfrum in this story. I was stunned when I learned a few weeks ago that their choices included me this year. While I still can't believe it, the honor -- Outstanding Citizenship Award -- brought with it a tremendous sense of responsibility ahead. 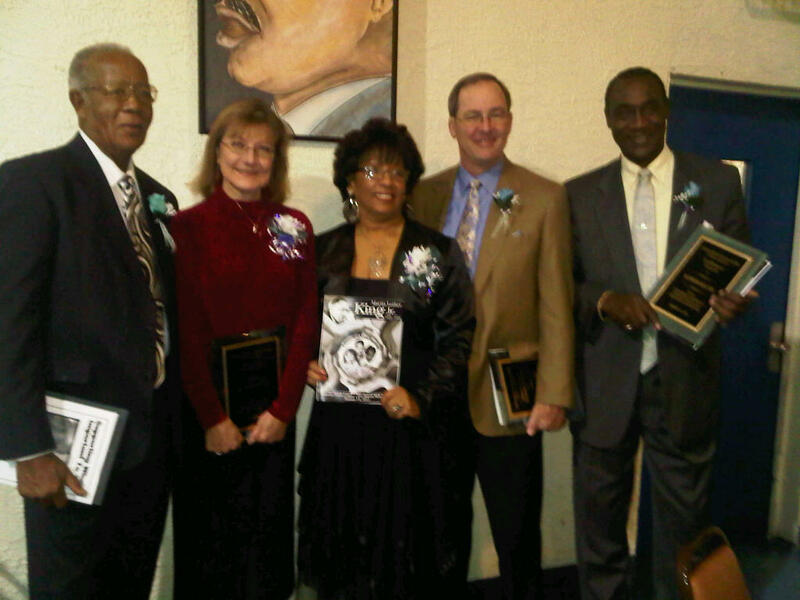 Here's the standard set for this nomination: "This award was established to honor those individuals who have demonstrated high standards of fairness, justice and the ideals of Dr. King and have made outstanding contributions to the community." Which brings me to why I'm blogging on this. The esteemed Pat Glass (the REAL outstanding citizen of Manatee County, as established on the fairgrounds last week)introduced me in a humbling video, bestowing me with far too much praise for doing what I love: journalism. But because of those expectations, I post my own comments here, to remind myself that I need to keep the faith in our newsroom at the Herald, or wherever a story needs to be told. Pat, thank you. 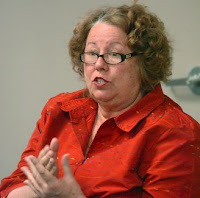 YOU are the one who’s on the Bradenton Herald’s front page today as Manatee County’s distinguished citizen of the year. My gosh, how humbling to be introduced by you. A huge thank you to the Palmetto Youth Center. I’ve been in a state of shock since Frankie Craddock called me with the news. And gratitude I can’t begin to measure goes to my staff at the Bradenton Herald -– many of whom are working as we party here! In trying to grasp why I would receive such a huge honor, I realized that this is really about your all’s belief in me and the Bradenton Herald and what we represent every day in this community. Central to the thinking of Martin Luther King is the concept of the "Beloved Community." Well, this community has more heart and soul than any other place I have lived. So, as the editor of Manatee County’s main news source, it’s a sobering responsibility to be the soul and the conscience of this community. But that’s my lifelong passion, and what we strive for every day at the Herald. Now, more than ever, our community needs the Bradenton Herald as the trusted source for local news and information, protecting and advocating the public’s right to know. The Herald is committed to passionately uphold the First Amendment and to embrace the sense of community that defines Manatee County. This award has put that challenge at a new level for me. One final thought: If you ever get the chance to ride in a parade, do it! I loved getting to sit on the back of a convertible Mercedes Benz, chauffered by Bob Davis as the parade wound through Palmetto Saturday afternoon, and we threw candy and beads to thousands lining the streets. Manatee County residents have come through another challenging year, capping 2010 off with many gestures of good will through the holidays. But as the year 2011 has begun anew,so have the needs of too many in our community. The Bradenton Herald is launching a new feature, “Manatee Gives Back,” focusing on the crucial needs of the nonprofit organizations working diligently to help. We’re seeking the most pressing needs so we can ask our readers to help, too. Each week, we plan to feature one group, one family, one challenge that must be helped. Please send the name of your organization and an outline of that special need to bconklin@bradenton.com. Please, help us keep the “Season of Giving” going all year long. We had a celebrity moment this morning in the newsroom, and it was a welcome high. Metro Editor Marc Masferrer picked up the 7000 line -- our hotline extension in the newsroom -- just like we do a hundred times a day. Suddenly, I heard his voice change. "Why, yes, Mr. Cosby! That was Wade you talked with. Let me find him!" Cosby. As in Bill Cosby. We were like kids at Christmas gathered around Marc's desk. Sure enough, Bill Cosby had called back -- following up on a 90-minute interview he'd already had with Features Writer/Columnist Wade Tatangelo. Actually, when Wade was finally able to give us all the details, it was far more of a wonderful conversation than a typical "star interview." It's rare that anyone of Mr. Cosby's fame spends almost two hours on the phone with a reporter. But as you will see in Wade's Buzz Worthy blog, Cosby is far from typical. Cosby's bio credits him as star comedian, actor, author, television producer, educator, musician, activist and more at age 73. The peg for Wade's interview: Cosby's two performances Jan. 16 at the Van Wezel Performing Arts Hall in Sarasota. Wade later confided to me his own adrenalin rush, starting at about 5 a.m. when he woke with a start and realized, "I've got an interview with Bill Cosby at 8 a.m.!" Wade spent the next three hours with a bit of nervous prepping and pacing. He called the number provided by Cosby's publicist, and introduced himself. Long pause. "It's 8:03. You're late." A hurried apology by Wade. "I've been waiting in this phone booth..."
And then a famous Cosby chuckle, and the conversation began. "Hi, this is Bill again. 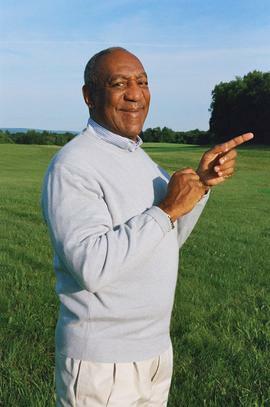 Bill Cosby. I was just talking with a nice young man, and hoped you might have a minute to track him down..."
"Hey, you should have gotten a phone autograph!" Whoever said we journalists are a jaded bunch?